(May 26, 2017): Over the past decade, the number of patients utilizing one or more complimentary or alternative care modalities has steadily increased. As patient demand for such services has grown, the percentage of payors including acupuncture in their plans as a covered service has also increased. For over a decade now, most private payor plans have covered acupuncture services (although the number and frequency of covered treatments is often limited). While private payors have often included acupuncture as a covered service, traditional Medicare has continued to take the position that acupuncture services are not a covered benefit. The purpose of this article is to provide an overview of the audit and investigative landscape currently facing acupuncturists around the country. Medical Necessity. A number of payor plans have effectively conflated “medical necessity” and “coverage.” As a result, a beneficiary’s plan may take the position that acupuncture is only medically necessary for a limited number of medical and / or mental (such as depression) conditions. Frankly, what the payor is really saying is that it will only provide coverage for acupuncture services if the underlying condition fits within one of these categories. To the extent that a licensed acupuncturist determines that acupuncture services would benefit, and is, in fact, medically necessary in the treatment of a patient suffering from a non-covered condition is often immaterial to a payor’s decision of whether it will cover the services. Documentation. At the outset, it is essential to keep in mind that it is highly unlikely that the medical reviewer (typically a nurse) assigned to audit your acupuncture claims will have practical experience and knowledge with acupuncture care and treatment services. As a result, the medical reviewer has virtually no idea what to look for when assessing your documentation. This problem is further compounded by the fact that most payors have not detailed their documentation expectations in their provider manuals. Medical reviewers evaluating your documentation of acupuncture services are therefore free to exercise a high degree of discretion when auditing your records. What can you do to better document your services? As a first step, you need to ensure that your documentation practices fully comply with any requirements set out by your State Board of Acupuncture Examiners. Next, check out the provider manual, website and any other guidance issued by a particular payor. Does it provide specific guidance regarding medical necessity, coverage, documentation, billing and / or coding of acupuncture services? If so, be sure and comply with the payor’s requirements. Finally, you need to ensure that your documentation practices meet industry standards. Can an Acupuncturist Bill for E/M Services Provided on the Same Day as Acupuncture Treatment Services? While a number of private payors have chosen to cover E/M services that are properly performed and documented by acupuncturists, you should expect considerable scrutiny if you perform and bill for acupuncture treatment performed on the same date of service as an E/M service. In order to properly bill a separate E/M service, you will need to document that the service went above and beyond the brief assessment that is already expected to be performed as part of the acupuncture treatment. The separate billing of an E/M service and acupuncture treatment on the same date of service would likely only occur on an infrequent basis. If you are billing these codes on regular basis, we recommend that you carefully review your practices to ensure that the services billed are both medically necessary and warranted in light of the patient’s clinical profile. 97810 (acupuncture, 1 or more needles; without electrical stimulation, Initial 15 minutes of personal one-on-one contact with the patient). 97813 (acupuncture, 1 or more needles; with electrical stimulation, initial 15 minutes of personal one-on-one contact with the patient). Seems straight forward? Unfortunately, sometimes it feels like nothing is straight forward when it comes to the coding and billing of acupuncture services. For instance, how many units should be billed if 10 needles are inserted into a patient and retained for 30 minutes? How many units (and which units) should be billed? It depends on whether the needles were removed and new needles were reinserted into the patient. For instance, if the 10 needles originally inserted into the patient remained in the patient for 30 minutes, only one unit of CPT code 97810 can be billed. Many payors take the position that once the needles are inserted, no additional work is required and one-on-one contact is no longer required. This remains the case even if an acupuncturist periodically returns to stimulate the needles. Absent the removal and reinsertion of new needles, no additional units can be billed. What is meant by the term “one-on-one contact with the patient.”? This phrase has been interpreted to mean that the acupuncturist is in the room with the patient and is performing a medically necessary activity that is a component of acupuncture. When calculating the initial 15 minutes, Excellus BCBS permits the inclusion of many preliminary activities. These include, but are not limited to a review of the patient’s chart, greeting the patient, obtaining an account of the results of the previous treatment, palpation of a patient’s tender points, marking and cleaning insertion sites, inserting needles, and removing needles. When billing a private payor, it is important that you first determine how the particular payor interprets these coding requirements. You should not assume that every payor strictly follows the general approach taken expressed in the AMA CPT Codebook. Perhaps most importantly, when billing time-based units it is imperative that you the total personal contact time spent performing the medically necessary components outlined above and document this time in the treatment note. While many providers disagree with their approach, a number of private payors are actively contesting claims where it appears that an acupuncturist has billed units based on needle retention time rather than active, personal, one-on-one contact involving the provision of substantive acupuncture-related services. As noted earlier, traditional Medicare does not cover acupuncture services. 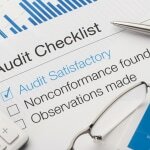 As a result, you may initially conclude that contractors working for the Centers for Medicare and Medicaid Services (CMS), such as Zone Program Integrity Contractors (ZPICs) and Medicare Administrative Contractors (MACs) would have little interest in auditing practitioners of such services. As we have repeatedly seen, such a conclusion would be wrong. (A) What is Medical Acupuncture? Be engaged in the practice of medical acupuncture. Even though an individual may qualify as a member of the AAMA, he / she must also meet state licensure requirements mandated by a state’s Board of Acupuncture Examiners. (B) E/M Services Conducted by Medical Acupuncturists are Often Misunderstood by CMS Contractors. ZPIC claims audits of licensed physicians providing Medical Acupuncture services have been typically focused on the accompanying Evaluation and Management (E/M) claims performed prior to, and in connection with, the provision of acupuncture. Based on the assessment and findings of the E/M service performed, a Medical Acupuncturist may conclude that a patient placed on a traditional treatment regimen with or without medications support, would also benefit from medically necessary acupuncture services. We have seen numerous denied claims where a ZPIC or MAC has alleged that the E/M service provided does not qualify for coverage and payment. The contractors often argue that the physician’s documentation the E/M services is deficient and / or that the E/M service was not really medically necessary. Instead, the ZPIC or MAC has suggested that the E/M services billed to Medicare have essentially been nothing more than a sham, provided and billed as a way to receive reimbursement since the acupuncture services subsequently provided did not qualify for coverage and payment. When defending these providers, we have often found that the E/M service conducted and billed to Medicare was (in our opinion) both medically necessary and appropriate in light of the patient’s clinical profile. Medical Acupuncturists should assume that their E/M services will be audited by one or more CMS program integrity contractors. Physicians should ensure that the E/M services conducted are fully documented and are coded and billed at the proper level. Essentially, the traditional medical services conducted need to be individually assessed, separate and apart from any complimentary care (such as acupuncture) that is subsequently provided. The question to ask is straightforward: “Were the traditional medical services provided and billed to Medicare medically necessary, fully documented, properly coded and accurately billed?” If so, the decision to complement the traditional care with acupuncture should have no impact on whether or not the medical services qualify for coverage and payment under Medicare. Unfortunately, it has been our experience that ZPICs and other CMS program integrity contractors are often skeptical of the medical necessity of the medical services conducted. Frankly, we disagree. After defending a number of these claims, it is our belief that Medical Acupuncturists have, in fact, typically concluded that a traditional assessment and treatment approach, coupled with complimentary acupuncture care services, are in fact, in the best interests of the patient. (C) Physical Therapy Services Billed by Clinics That Also Offer Complementary Care are Under the Regulatory Microscope. (D) Federal and State Prosecutors Have Pursued a Number of Health Care Fraud Cases for the Improper Billing of Acupuncture Services. In this 1997 / 1998 case, a physician employee of a hospital improperly billed Medicaid for non-covered acupuncture services related to its drug and alcohol program. As the Department of Health and Human Services (HHS), Office of Inspector General (OIG) noted, “[t]he hospital knew or should have known that Medicaid does not cover acupuncture.” The case was resolved through civil settlement. In this 2012 case, the owner of two acupuncture clinics and his staff allegedly billed Medicare for non-covered services. The government also alleged that the owner “received kickbacks for providing Medicare beneficiaries’ health identification cards and other personal and medical information to a clinic enrolled as a Medicare provider for physical therapy services” even though the beneficiaries did not receive any services from the clinic. Additionally, the owner’s co-conspirators were alleged to have created false medical documentation in connection with fraudulent claims. In this 2014 criminal case, the owner (who was also a licensed acupuncturist) of this clinic allegedly submitted non-covered acupuncture claims to the Medicare program for payment. Moreover, the clinic was alleged to have billed for massage and physical therapy services that were not performed by licensed physical therapists or physical therapy assistants. Over a two-year period, the clinic was alleged to have submitted more than $1.6 million in fraudulent claims to Medicare and more than $475,000 to Blue Cross Blue Shield for payment. As the popularity and acceptance of acupuncture increases, we should expect for the number of acupuncture audits and investigations to increase as well. Now, more than ever, it is essential that you review both your business and clinical practices to better ensure that your care and treatment services fully comply with applicable statutory, regulatory and contractual obligations. Have you properly established that the acupuncture treatment services are medically necessary? Are the services fully documented in the patient’s medical records? Are your coding and billing practices accurate and consistent with the payor’s requirements? Finally, to the extent that your clinic also bills Medicare or a private payor for medical services, you must ensure that the services billed are, in fact, bona fide medical services, not acupuncture or massage therapy services that have been mischaracterized as physical or occupational therapy. Robert W. Liles, J.D, M.S., M.B.A., represents health care providers around the country in connection with claims audits and investigations by Medicare, Medicaid and private payors. He also represents licensed providers in connection with complaints filed with State Licensure Boards. For a complimentary consultation regarding your case, please give us a call at: 1 (800) 475-1906. The American Academy of Medical Acupuncture (AAMA) was first established in 1987 by physicians who had graduated from the Medical Acupuncture for Physicians Training Program at the UCLA School of Medicine. The AAMA has rapidly grown in recent years and now has over 1,300 members. The question of whether “dry needling” qualifies as acupuncture remains in controversy. Nevertheless, a number of government and private payors have held that “dry needling” is, in fact, acupuncture. As such it does not qualify as a covered service under Medicare, regardless of whether a licensed physical therapist or a licensed acupuncturist performs the service. Office of Inspector General, Semiannual Report to Congress, April 2013 – September 2013. (Page 47).